Osteopaths love to treat knee pain! Why? Because a lot of the time the pain is not solely coming from your knee joint! Therefore, a thorough examination of your entire spine and joints is required, to figure out where the pain is coming from, and most importantly; what is the root cause of your pain. Biomechanical Issues: this is probably the most common cause of knee pain. Knee pain can arise from how you use and load the knee joint when walking, running or simply going up and down the stairs. Issues with ankles, a twisted pelvis, reduced range of movement in your upper back, dropped arches in your foot – all can have an immense impact on how your knee functions as part of your entire skeleton system. Trauma: where someone goes over on their knee playing netball or skiing for example. Direct tears to ligaments, muscles or damage to cartilage could occur. Osteoarthritis: a common condition affecting knee joints in the elderly or patients who have had several knee joint injuries in the past. Metabolic: Gout can affect the knee joints and not just your big toe. An osteopath will consider all of the above causes of knee pain during the initial consultation. An osteopath will examine the knee and also the entire spine and peripheral joints, to figure out the root cause of your knee pain, which often is not coming directly from the knee itself; it can be due to dysfunction from above or below the knee. This approach is especially important for patients where their knee pain has not healed or responded to other treatments. In cases where acute trauma (tear to a ligament, cartilage or muscles) is suspected we can refer a patient for a scan of the knee (MRI, Ultrasound, X-ray). In cases where surgery is required, a referral will be made to an orthopaedic specialist for further review. To help resolve your knee pain, osteopaths use a hands-on osteopathic treatment approach, combined with rehabilitation exercises, and patient education about what caused the pain in the first instance, and what you can do to prevent the pain from re-occurring. It’s also important to remember that knee pain can affect people of all ages; children, teenagers, the elderly – it’s is not caused by old age! When we treat patients with knee pain; our main aim is to always return our patients back to health and to the activities that they normally enjoy doing, in as quick a time as possible! So don’t suffer knee pain needlessly- we’re here to help! Looking for help with your knee pain? Please do not hesitate to contact Lorraine Herity at Better Health Osteopathy in Christchurch today. Call 027 7555700 or book online. 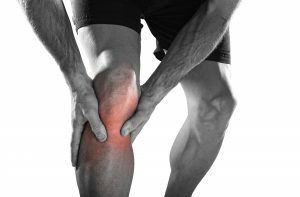 Torn Anterior Cruciate Ligament…..Is Surgery Required?